The Miller Spot: One year down!! I came across this today and couldn't remember if I ever even passed it on to anyone! 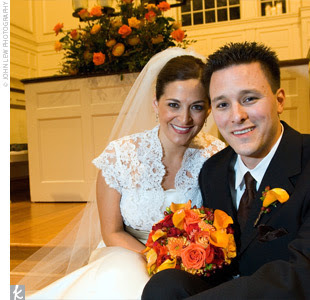 This is the feature that the Knot.com did on our wedding. It is on the site as one of Oklahoma's featured weddings...so cool! Anyway, in honor of our anniversary (which was about a week and two days ago), I thought I would post the link! Check it out if you haven't. I love to look at how slim my face appears and how I actually have a waist! P.S. I love my husband!!! I'm seriously the luckiest girl in the world.